My name is Bee and, sometimes, I annotate books. Let's just pause for a minute whilst half of you drop to the floor screaming 'how could you?!' into your shaking hands. Yes, pals...I am one of those readers that has been known to take a pencil to the page. Marking up books, or marginalia, has been around for centuries, with some biblical manuscripts displaying marks and notes in the margins, and yet I feel like the art of annotating books splits readers down the middle. Is it an excellent way to engage with the text or is it something of a bookish crime? I will aim to get to the bottom of this question but will more than likely conclude by sitting on the fence and saying 'both opinions are totally fine really, ain't they?!'. Personally, I annotate books because I love leaving a little pencil footprint of my thoughts across the page. I love that I can leave little marks and annotations and come back to those same notes years later with new experiences and opinions under my belt. In a way, it can become a little museum of you and that's really special. I also love that the art of annotating is somewhat intimate. It encourages me to really engage with the words and maybe get a little sentimental about them and, in most cases, it's for my eyes only. Some of you, like me, love to annotate your books because as I said it can act as an exercise in self-reflection. Jennie said: 'revisiting the shared existence between me, the book and those words that meant something at a particular time. What a feeling!'. And then, of course, Sarah loves to do just about anything to a book to make sure it looks well loved 'I write in them, draw in them, crack spines (in fact I won't read a book UNTIL I've cracked the spine), I fold pages over, and I have been known to stick stickers and post-it notes to covers/insides. A book is not MY book until it's creased and shabby and torn and held together by love and sellotape'. I wouldn't expect anything less from her. A few of you also noted that it's an excellent way to reflect on someone else's lived, and read, experience as well as your own. Laura, like Sarah, is an all-in type of reader for both her benefit and for others: 'I mark up books...Folds, writing in the margins, underlining...it helps me to find passages which speak to me...I love picking up secondhand books which people have marked up - it gives me an insight into someone else's mind, how similar or different the pieces they loved are to mine'. Thrifty also noted its benefits where collaborative and collective reading is concerned: 'I have a mini lending library situation with friends and our notes raise decent discussions'. 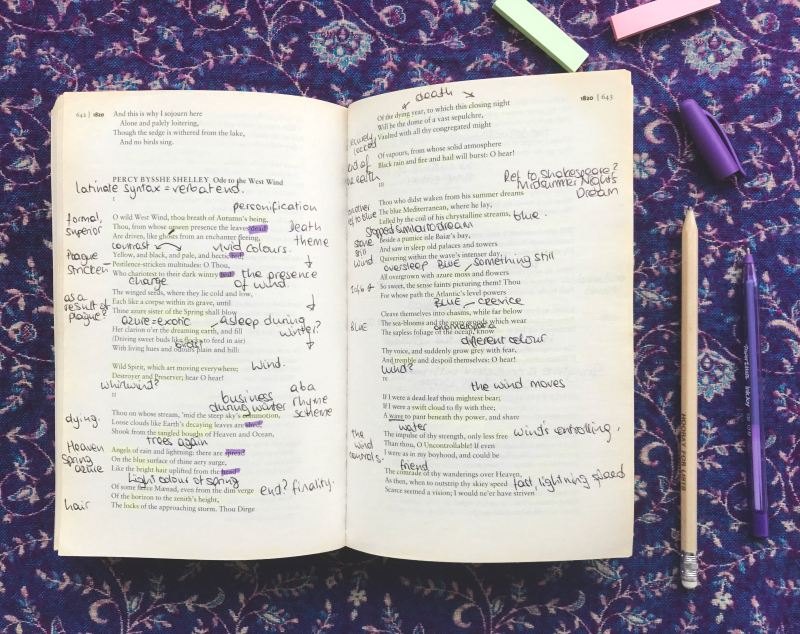 Megan highlighted another interesting point about annotating books, acknowledging that it also gives the books an outward appearance of being 'thoroughly loved and enjoyed'. Some of you wouldn't dare write in them under any circumstances, preferring to keep your reads pristine. Fair beans. Lucy, on the other hand, could appreciate both sides: 'I really dislike writing in books except dedications [...] I like finding old books with notes and dedications in' and Dawn had her own stipulations too: 'Pencil only. Those who highlight and write in pen make me stabby'. Similarly, L said they don't mind 'highlighting...in places' but 'it's those who bend pages and crack spines that do (their) nut in'. Charlotte said she sometimes downloads the e-book to 'highlight/annotate or photocopy sections' going on to say that books have always been 'really precious' to her so she doesn't like to 'damage them at all'. A few of you noted that academia changed your opinions on marking books with Steph saying that it turned her into a 'spine cracker and page defacer' and Bethany said she found it 'so much easier' to write in the book and keep her thoughts together whilst studying. Ellie, however, said that she used post-it notes in place of marking her books with pen whilst at school to avoid writing on the actual pages. I love how different everyone's experience is. All of these opinions are, of course, valid and I find each of them fascinating. I love that whilst reading is a past time enjoyed by so many, it can look so different to each individual. It brings a tear to my eye, kids. I tend to use pencil because I like the softness of it. Sometimes, I'll leave little annotations expanding on an idea that I like or I'll summarise paragraphs with big graphic titles. If words aren't really needed, I leave little stars and hearts by passages that I really admire or want to take something from. I have also been known to use little pastel page markers too, particularly when studying. 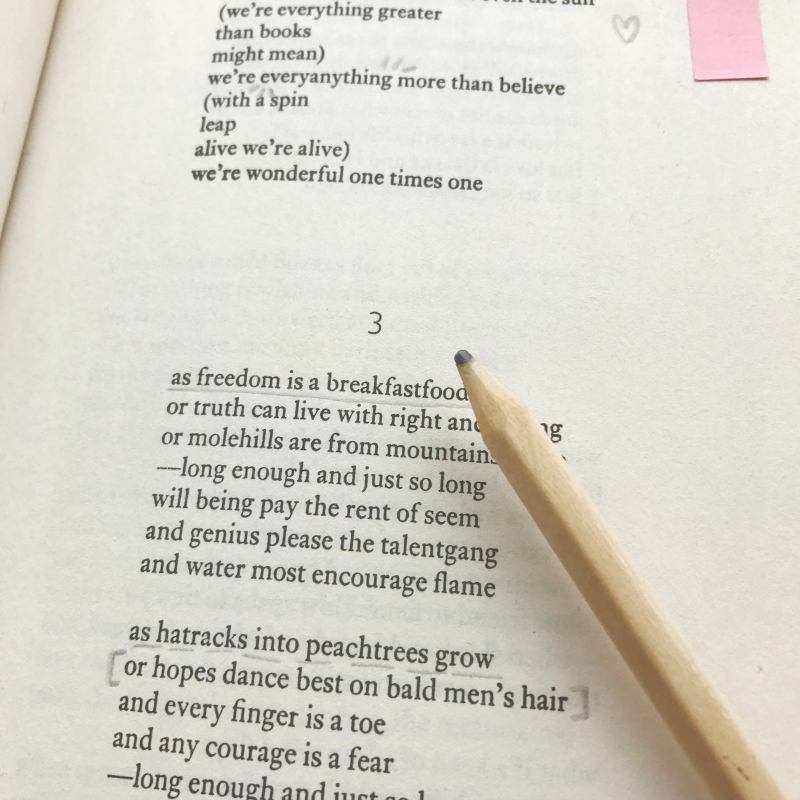 I tend to mark up poetry more than I do anything else, because it's a form that, in my opinion, demands to be both read aloud and picked apart. Interestingly, I find that I tend to annotate texts that are more poetic in their writing style - regardless of their genre. I imagine that, as a poet, it's because that is the kind of language I gravitate towards and, therefore, want to explore further. ...There are almost infinite ways to mark up a book. Do what feels right to you! ...Again, there are also infinite reasons for you to mark up books. ...but what if i don't want to physically mark A BOOK? If you don't want to physically make marks on your books, that's totally okay and totally understandable. It isn't for everyone! 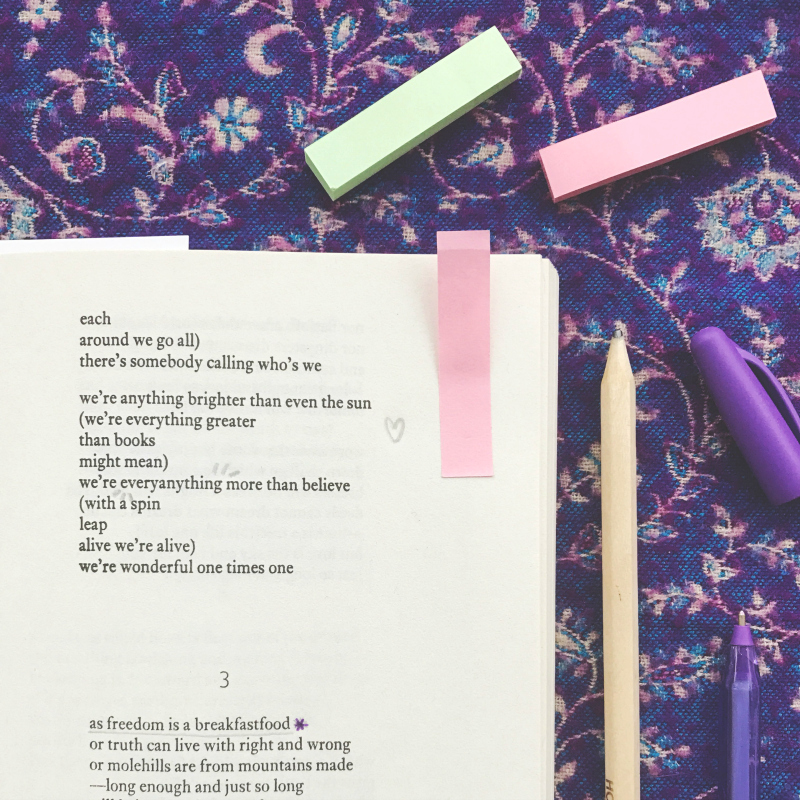 However, instead, you could write your thoughts down on post-it notes or scraps of paper and split them across the relevant pages for you to find the next time you read the book. Make sure to date your notes if you're interested in documenting your thoughts across several reads of the same book. You could also keep a separate log book for reviews and notes on the things that you read. Alternatively, if you're more digitally inclined, take photos of quotes that you like and keep an album dedicated to them. If you're a Kindle reader, you could add little on-screen notes to passages. If you're interested in marginalia but are a little scared, you could always try marking up a specific book as a little experiment. Purchase a book from a secondhand bookshop or fair, etc, and have a little go at making little annotations along the way. You never know, you may like it! Of course, you don't need to mark your books in any way shape or form, be it on the actual page or in a separate notebook. You can still have an exciting and fruitful reading experience without documenting your ~journey~. All reading is valid. Read what you want and how you want. 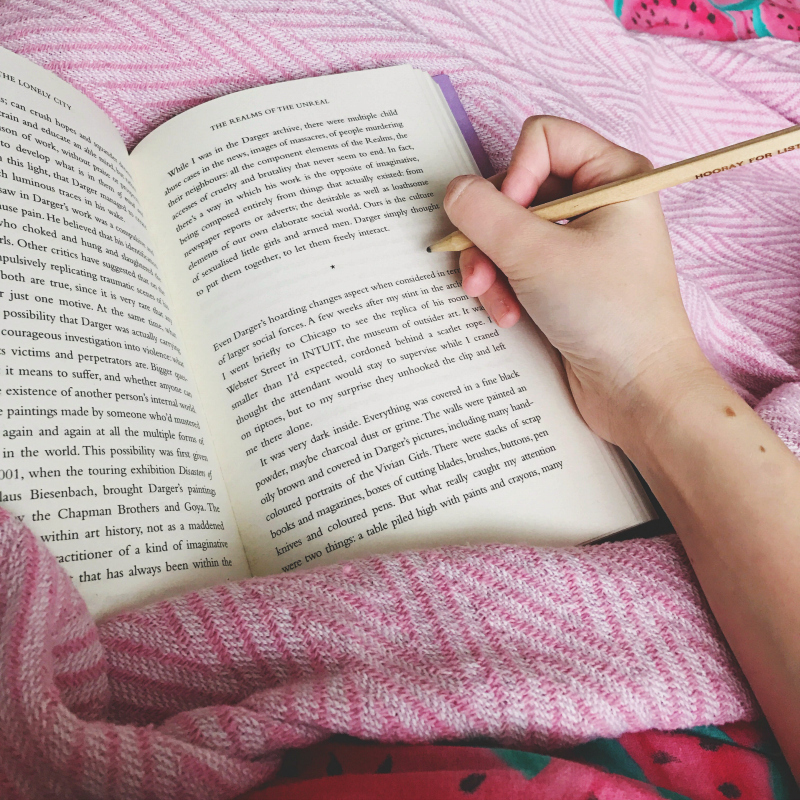 Once you've finished reading and marking up the book, if that's what you've decided to do, you could pop it back on the bookshelves for the next time that you want to read it. Alternatively, you could send it on to someone else for them to mark up too. 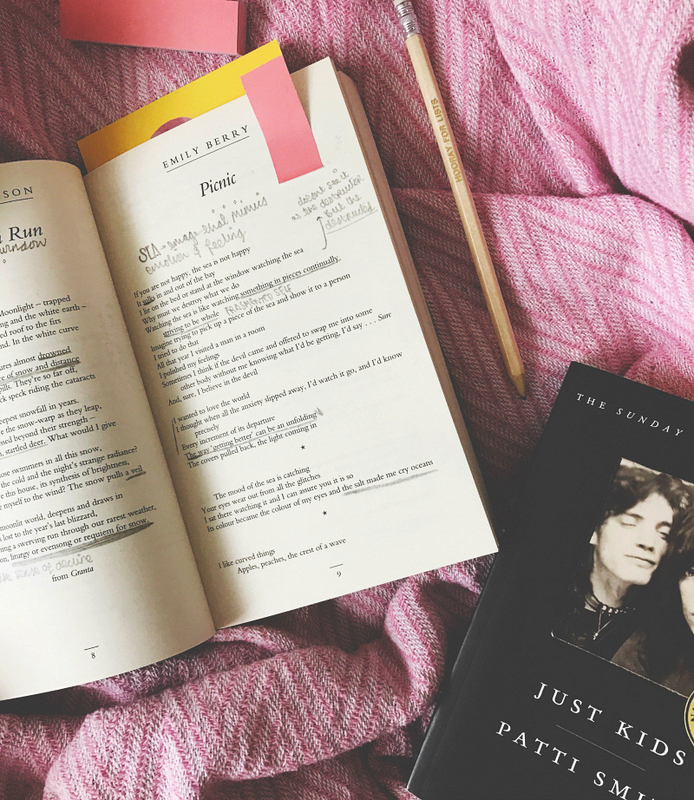 Get them to mark the passages that resonated with them, complete with little explanations as to what or why, and then when you get the book back you'll have two different reading experiences mapped out on the pages. If you want to go even further down that route, you could send it to multiple people and start a travelling book project. At the end of its travels, you could have a book full of notes from multiple readers around the world! above: a secondhand book I bought for uni full of annotations! Aaaand that's all of my thoughts on the subject of marginalia for now. I personally enjoy annotating books. Whilst I don't do it every time I read, it's something I want to do more frequently. I'm really looking forward to re-reading some of my favourite books over the course of the next few years in order to mark them up a bit. However, I totally respect readers that prefer their books to be in pristine condition. Both opinions are totally fine really, ain't they?! Tell me, do you mark your books? Why or why not? I'd love to start a discussion / World War Three in the comments. If you'd like to scroll through all of my book blog posts then you can. I loved this post! 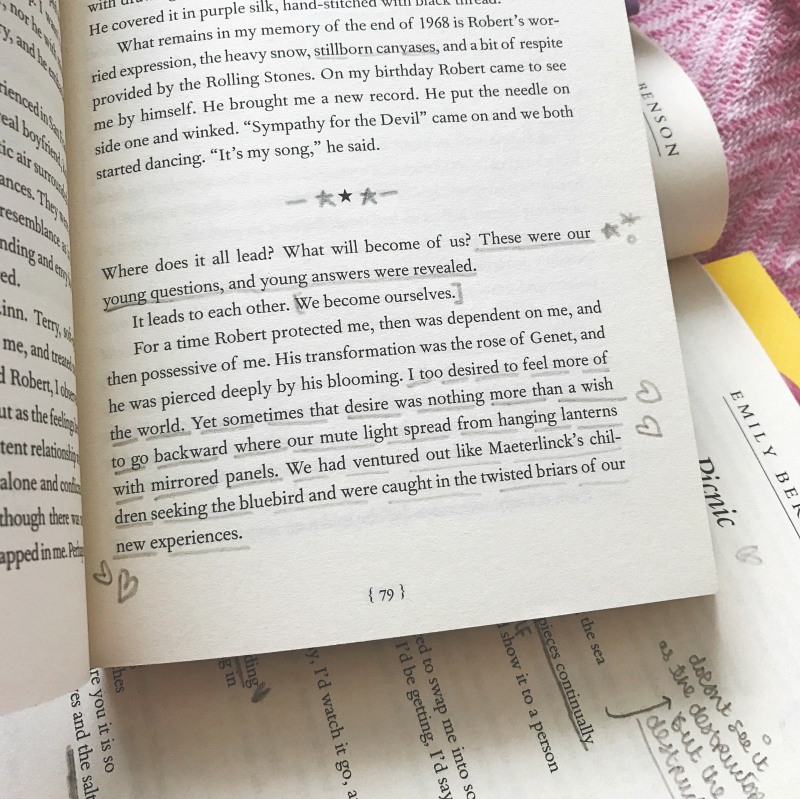 I adore the idea of leaving notes and annotations in books and if I ever found a book with notes and musings written in it, I would treasure it even more! But, for some reason I just couldn't! I don't crack the spines of my books (shudder) or fold the pages, or write notes.. Instead, If there's something I particularly love, I take a notebook instead and jot it down. I wish in some way that I could bring myself to mark the pages of a book - but I just can't! I'll occasionally markup my books, but it really depends on what I'm reading. I don't think I ever write in novels, but books on writing or creativity will at the very least get page flags and maybe some pencil marks. I'm also more likely to write in used books than new, especially since sometimes I buy used and they /already/ have marks in them anyway. I used to be so against doing it, actually, but I think I'm of the group that was loosened up by academia, and in general I say let people do their thing either way! I personally would never want to annotate a book unless it was already second hand/damaged. That being said I do love to annotate my Bible as I see that more as reading to study and it helps me engage with the text more, as you say. My Mam passed away when I was young and I found her old Bible and she had made notes in it. It was special for me to read her thoughts, from a time before I was even born. She actually wrote next to a passage that her first child would be a son called Israel, and she did end up having a son first and she did call him Israel haha. Sorry to ramble I just found it really lovely.